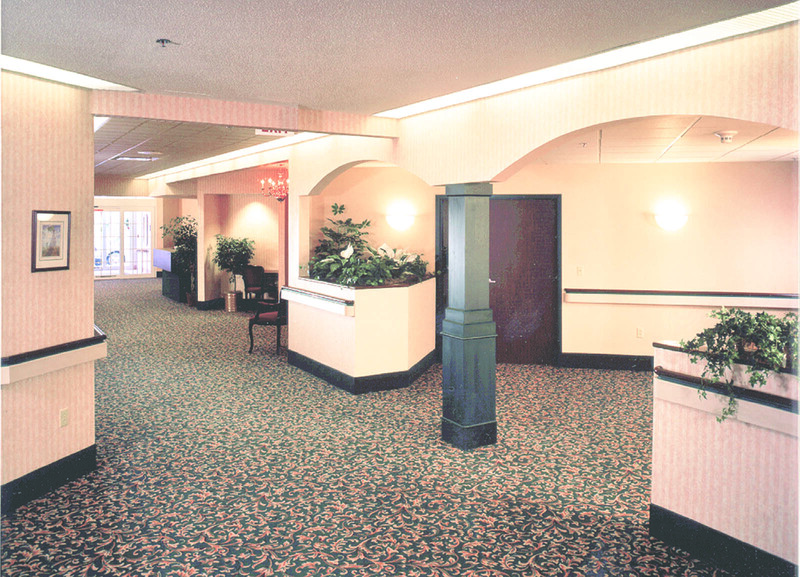 This long-term care facility consists of four buildings, comprising 80,050 sq. ft. of new construction on a 21-acre site. 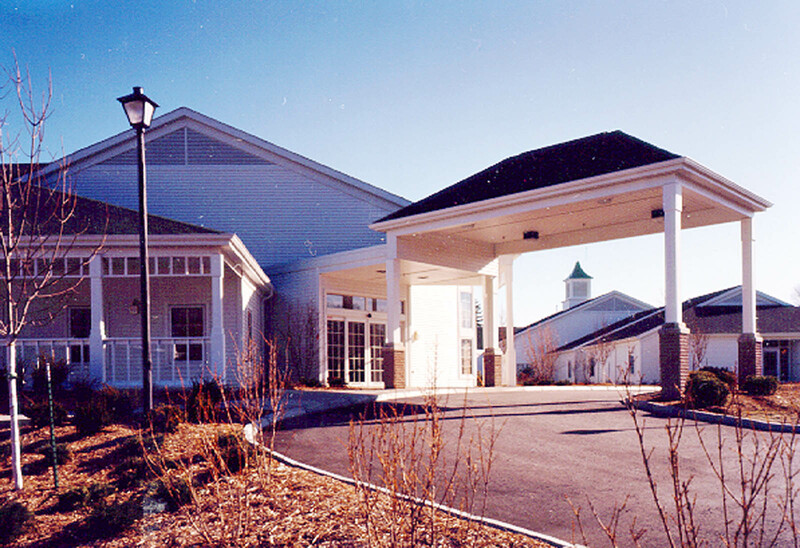 Building ‘A’, the Village Commons, features a reception lobby, meditation chapel, group activity room, medical, dental clinic, and physical therapy areas, a beauty salon, and a main formal dining room that includes seating for 80 residents and kitchen and service areas. Building ‘B’, the 150-bed skilled care unit, houses a 12-bed subacute unit. 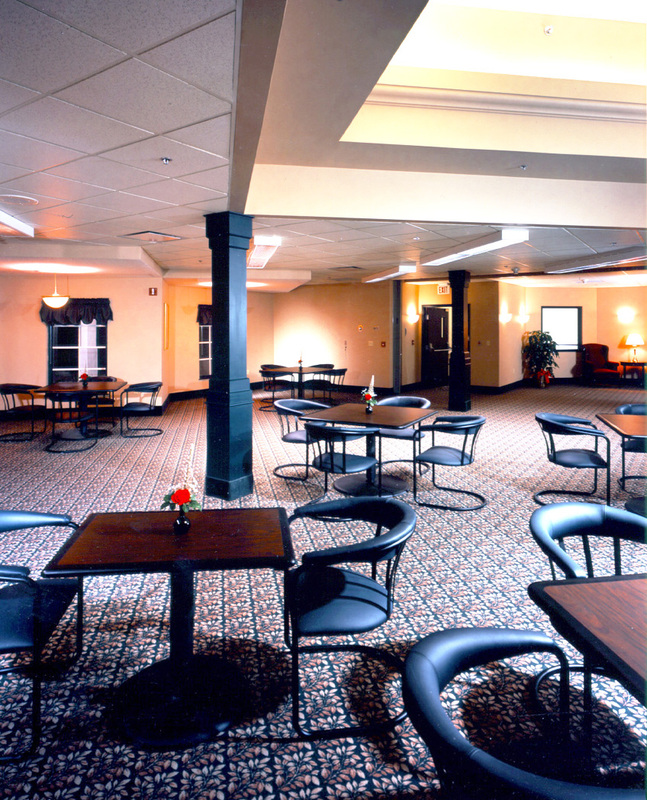 Building ‘C’, the 54-bed intermediate care unit, features an open design dining/ dayroom with a private outdoor patio. 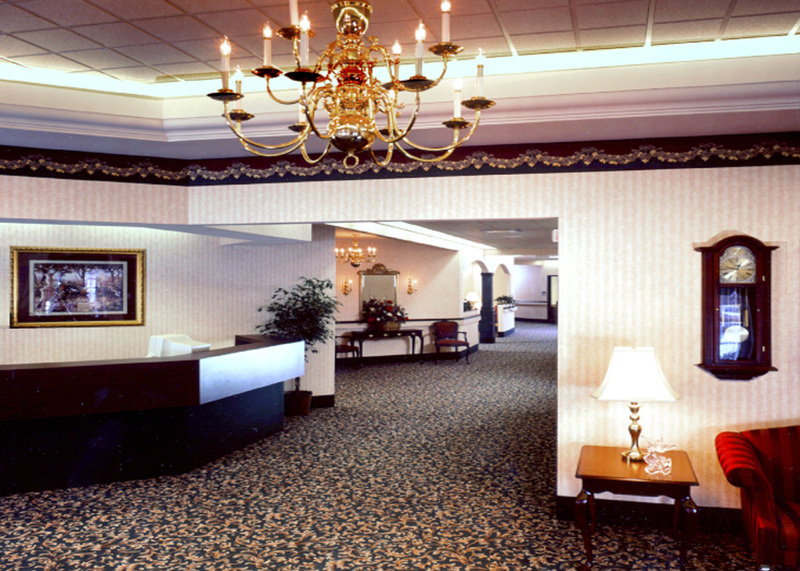 Building ‘D’, the 42-bed dementia center, features a private dining area and activity center and a private outdoor porch and wanderers’ courtyard.